Designed specifically for handling lightweight materials, such as grass seed, waste, snow, etc. 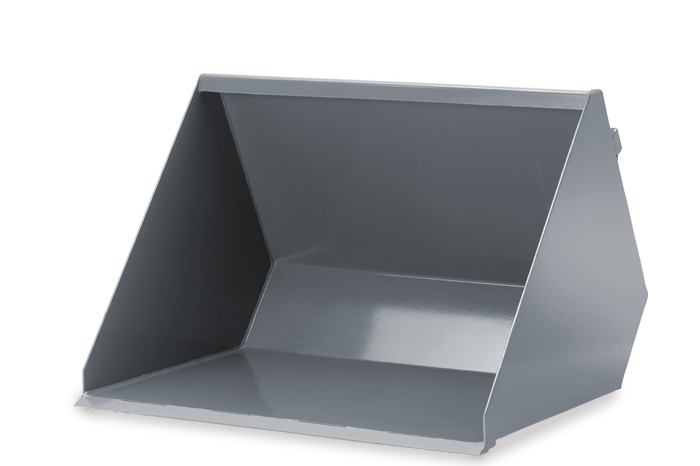 The bucket capacity ranges from 0.55 to 0.77 m³, depending on the size and type of the material. Bucket top edge runs parallel to the bucket bottom which provides smooth and easy operation. Increased handling capacity by prolonged ground and elevated sidewalls. Digging edge made of wear-resistant steel (Hardox 400).